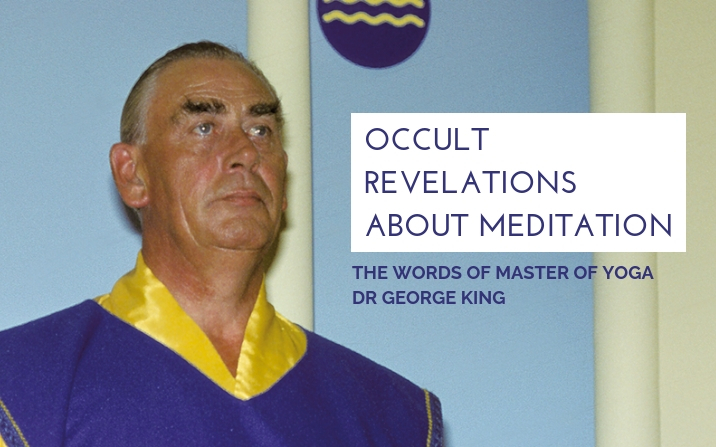 In this week’s extract, Master of Yoga Dr George King talks about a great test you will face on the spiritual path. 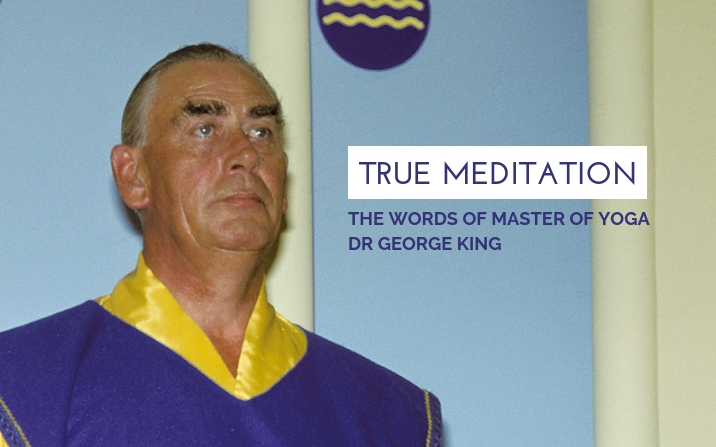 He calls it the “super weapon”, which the lower self will use against you – the real you, the Higher aspect of you – just before attaining true meditation. “There’s a wonderful little book called Light on the Path. It’s only a tiny little book. It’s a magnificent jewel of a book. An absolute jewel among jewels is that wonderful book. “It says in that book — and this is true — that you come to a certain stage where you first look through the Third Eye (or the Christ Center, we choose to call it). And this is the most awful, terrifying experience of your life. “And it is true, in the name of heaven, my friends, it is true! “You will go mad. You will probably end up by committing suicide. Or, you will be brave enough to go forward. “Now, whosoever tells you different has not had this experience. I don’t care whether he calls himself “Swami XYZed” or “Master QFZ”, he has not had that experience if he tells you different. “The first time you look through here, you see yourself alone in the universe. Completely alone. somewhere — that’s one thing. “But to see yourself completely alone in the universe is something worse. Something terrifying. A great test. A challenge.